The info to Barbara Morgenstern’s previous album, The Grass Is Always Greener (monika48), still refered to her as an „electro-pop icon“. This tag, with which she has been associated since the early days of the Berlin living room scene, no longer really fits. The lightness that was so characteristic of her last album has given way to new depths. What was minimal before is now far more complex, even weighty. Barbara Morgenstern’s latest pop music creation is utterly captivating and mesmerizing. BM is interspersed with distortions, cacophonies and bouncing rhythms. With such a back-drop the sweeping pop moments with their wide panoramas which make the heart soar, only seem all the more vast. And it’s really cool, on Morbus Basedow for example, the way hard noise gives way to what is tried and tested pop after all. On the whole Morgenstern’s music on BM is as unpredicatble as never before. The patterns emerging from the piano are reminiscent of the ballads and chansons of Brecht and Weill. While the ever present electric guitar on the other hand, played by Sven Janetzko, just wants to rock. Multifarious patterns criss cross and knock each other off course causing tension. And in the background things bubble up from the depths – like gnawing doubts which are constantly squeeking or scraping away somewhere. This Barbara Morgenstern’s 5th album for Monika Enterprise is eclectic like none of her previous releases. No song is quite like any other. As a result Morgenstern manages to capture and hold the listeners attention throughout so that suddenly you are listening more closely than before. Some arrangements comply with clear pop mechanisms while others, in contrast, are more idiosyncratic. Off-beats and polyrhythms are subtly presented to the listener. Throughout the album Barbara’s melodious and soft singing voice forms the center of attention, but right and left, above and below, there is always something very different happening. It’s as if the music is the subtext to the thoughtful lyrics with their often unusual meter. The lyrics are very political in content, like on (the single) Come To Berlin, a piece about the shocking city planning in Berlin. On the ghostlike Jakarta Morgenstern looks back on alarming travel experiences. And in Reich & Berühmt (trans. Rich and Famous) she thematises her socialisation. Barbara Morgenstern sings mostly in German, occasionally in English, and once even in Polish. On the fragile and romantic piece Camouflage a long held dream came true for Barbara Morgenstern. This wonderful collaboration with Robert Wyatt occured mainly via postal correspondance, so really is mail art. Barbara Morgenstern already swapped her legendary Vermona organ for a Piano on her last album, The Grass Is Always Greener. For BM again she traded the piano in – this time for a Bechstein grand piano, which stands in the main hall of the Haus der Kulturen der Welt (House of World Cultures) in Berlin. As leader of the Chor der Kulturen der Welt (Choir of Wolrd Culture) the grand piano and hall were at her disposal for recording the album. And you can really hear the size of the instrument, and the concert hall, when Morgenstern lets loose on one of the many uplifting choruses on BM. Without a doubt, she still writes beautifully plaintive pop songs, even if they are far removed in style from the compostions we are used to from her. 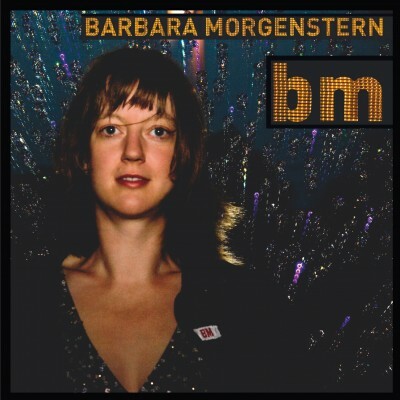 The many counterpoints to the, in the main, friendly piano arpeggios; the lovely string arrangements by Julia Kent, cellist for Anthony and the Johnsons; the unexpected changes and turns; the new versatility – all this makes BM the most unusual and perhaps most important album that Barbara Morgenstern has presented yet.